for the arts & entertainment industries. Our network covers Brisbane, Gold Coast, Sunshine Coast, Toowoomba, Ipswich & Byron. and thus Posterbill was born. 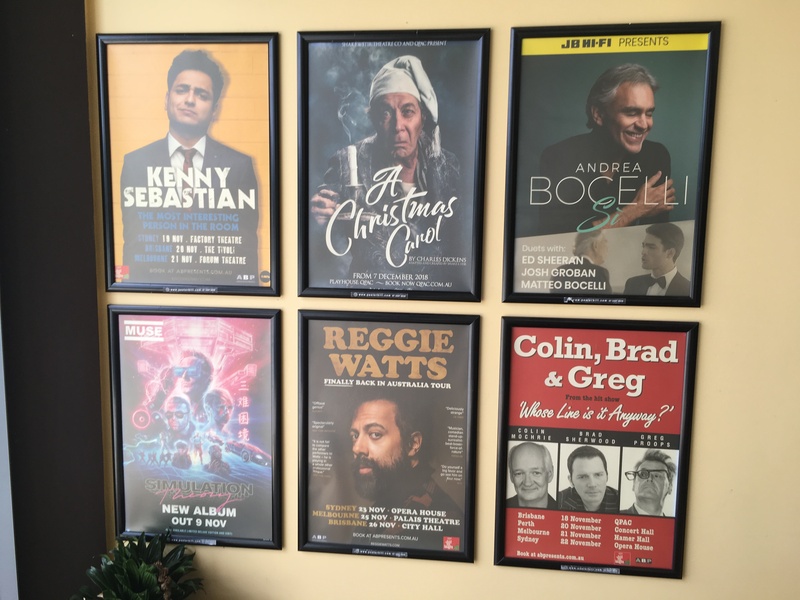 Posterbill is now Queensland’s largest distributor of posters, brochures & programs for the arts & entertainment industries, branching out our client base to community organisations and government departments. We handle campaigns for arts organisations, film distributors, bands, marketing companies, publicists, venues, government departments, major festivals, community awareness groups, Brisbane City Council, Logan City Council, Moreton Bay Regional Council, Sunshine Coast Council and many more. We can coordinate a campaign of any size, utilising our network of indoor and outdoor sites to provide you with the biggest bang for your buck, no matter what your budget. We provide competitive printing prices for any job, big or small. Posterbill offers quality printing of almost anything. We specialise in printing posters, postcards & brochures. All printing is produced on state of the art equipment. Street posters are an awesome medium, visible 24/7 by millions of people across Australia. Posterbill can coordinate any campaign – state specific or Australia-wide. The street poster culture is ideal for the entertainment industry. In fact, we specialise in rock posters! InterEsted in HAVING OUR AWESOME POSTERS IN YOUR VENUE? Since 1994, Posterbill is Brisbane’s largest distributor of posters, brochures & programs for the arts & entertainment industries, community organisations and government departments.